Visit the Spotlight Practice Archive in the Members Area. 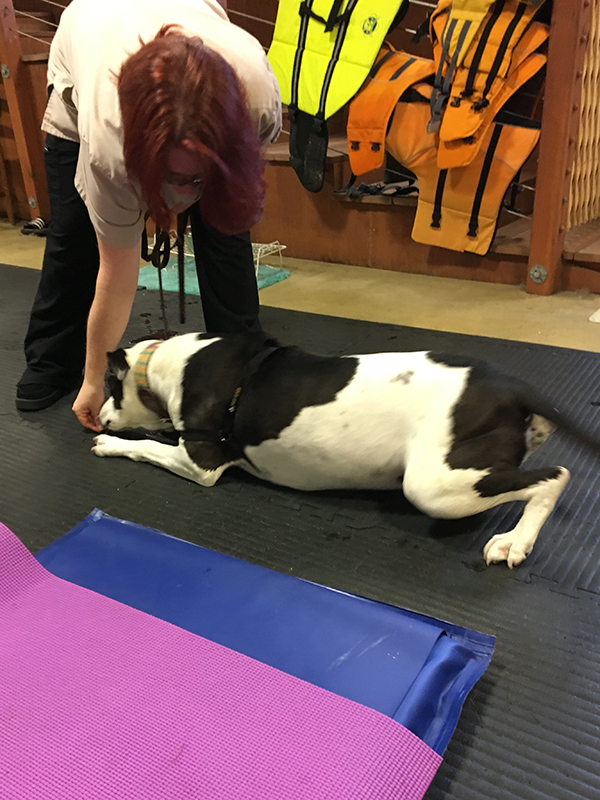 Holistic Veterinary Care was started in 2008 in order to provide much needed veterinary services that were not available elsewhere. 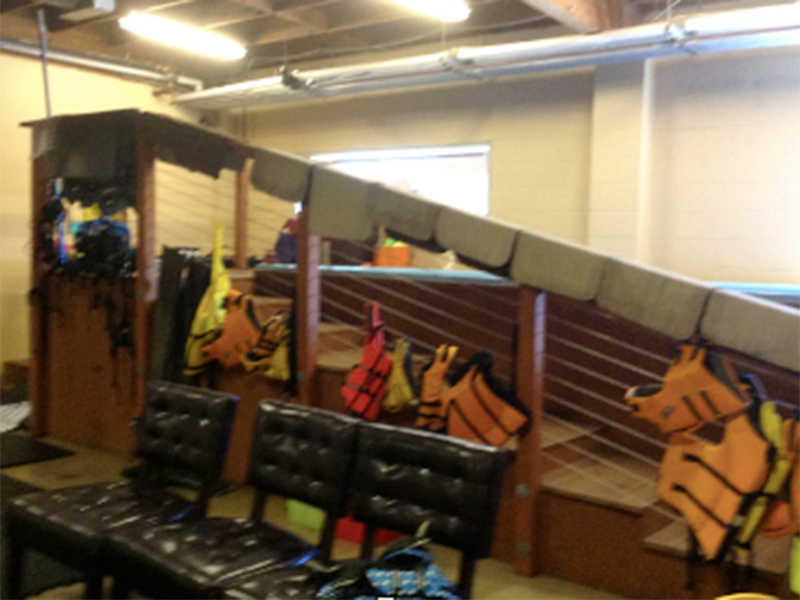 The practice began with acupuncture and chiropractic but quickly expanded into other modalities. 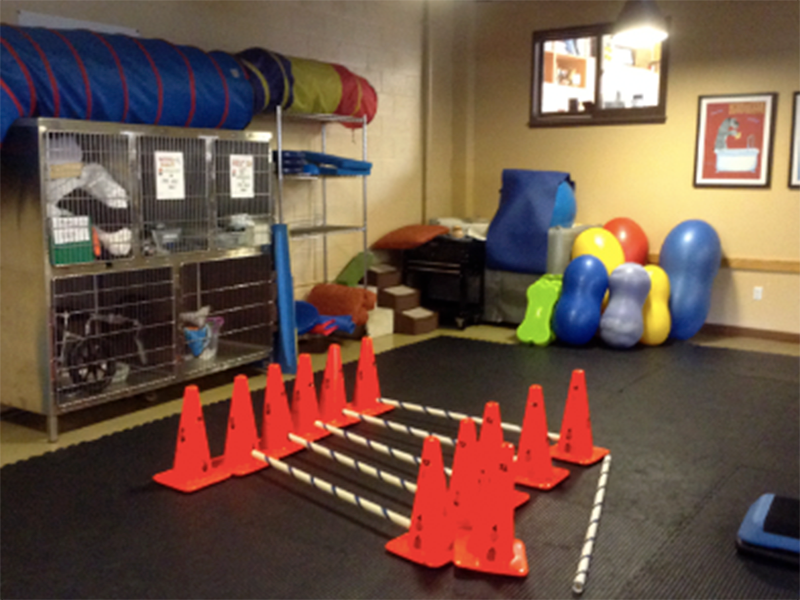 In 2011, the practice moved to a larger location and added in rehab therapy with a therapy pool, UWTM, etc. Today, HVC is a center for integrative medicine providing the best that Western and alternative medicine modalities have to offer. Currently HVC provides rehab, acupuncture, chiropractic, herbal therapy, PEMF, stem cell therapy, hyperbaric oxygen, and more. 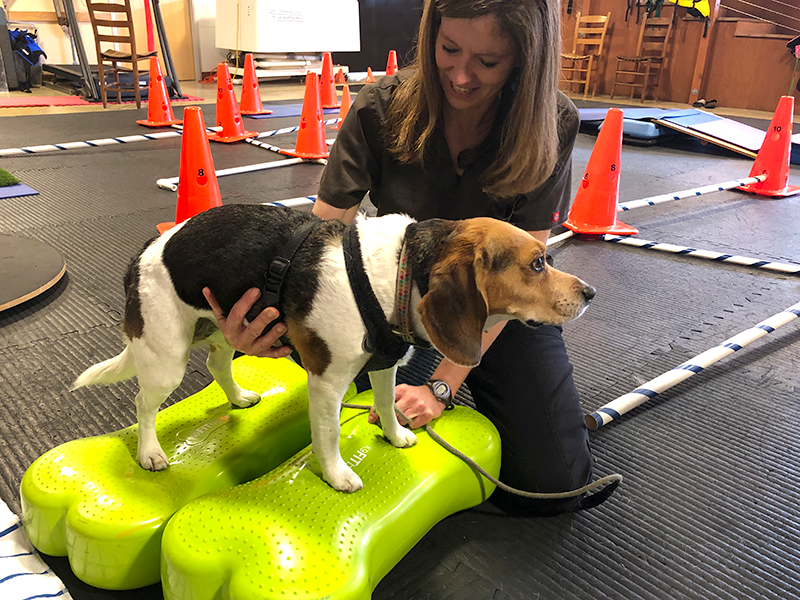 The rehab team consists of a chiropractor; 3 acupuncturists; 2 veterinarians including AARV member and practice owner Gary Richter, MS, DVM, CVA, CVC, CVWHM, and a veterinarian who is currently completing her rehab certification; AARV member Sandy Gregory, M Ed, RVT, CCRA, head technician; and 4 rehab assistants. Both Sandy Gregory and Dr. Gary Richter speak at various conferences through the states on holistic medicine and rehab and are on multiple boards. 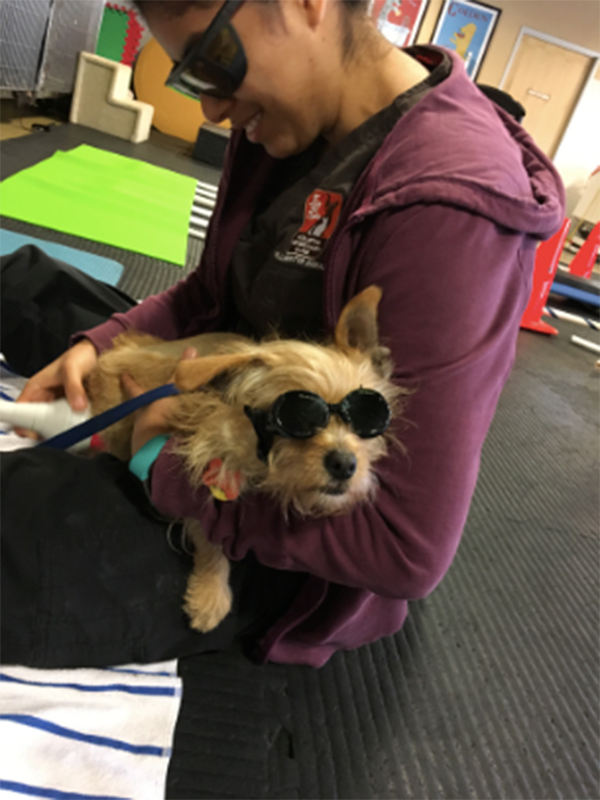 Dr. Richter wrote the book The Ultimate Pet Health Guide and numerous articles and is very involved in state regulatory issues regarding alternative medicine. 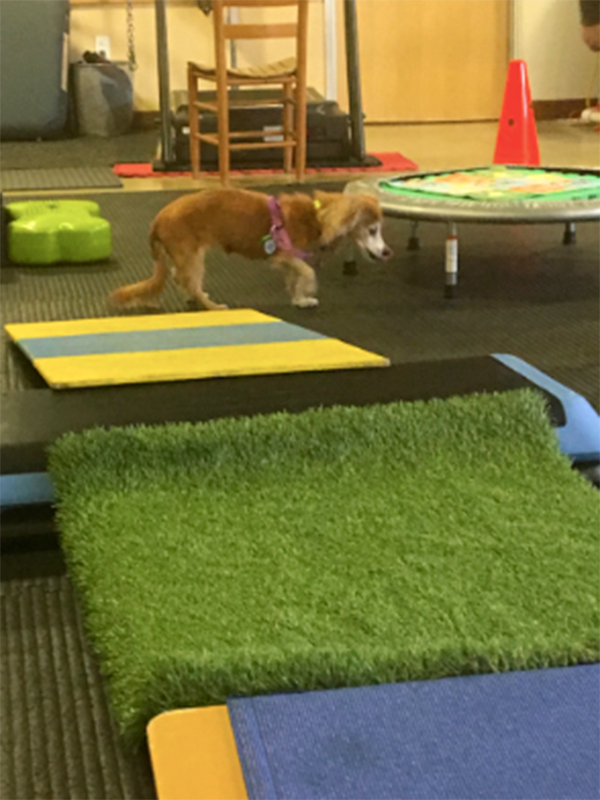 April working with a post-TPLO patient in crawling. 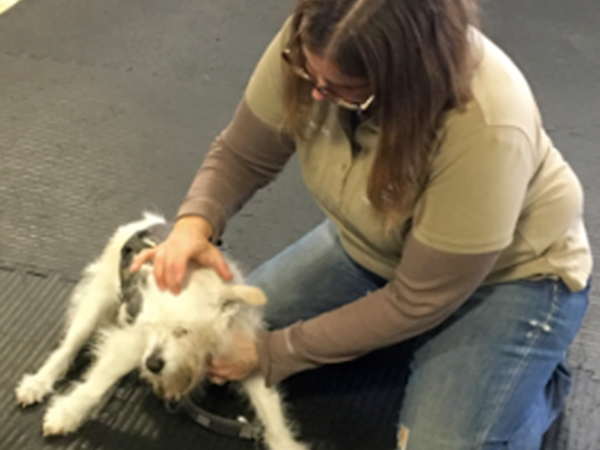 Chiropractor Lisa Koenig working on 17-year-old Raymond. Daisy has been coming for over a year post-IVDD surgery. 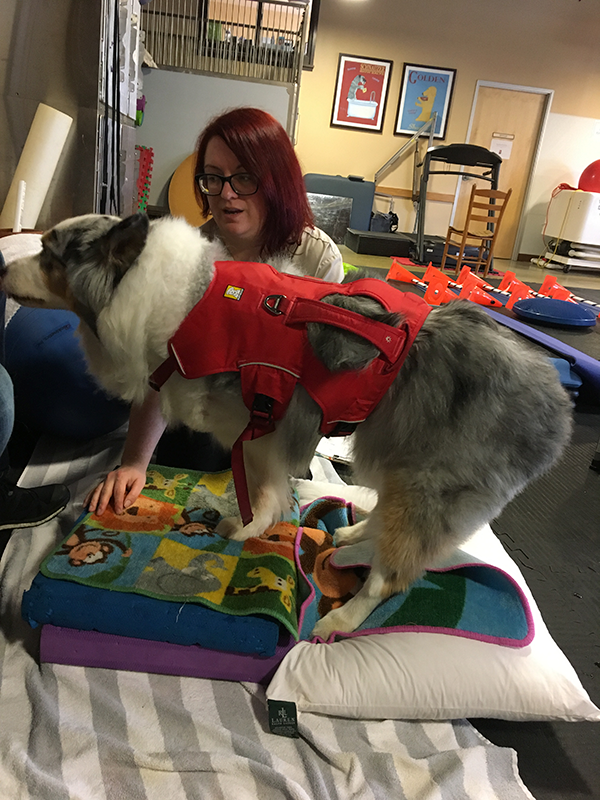 She is working with Sandy on stability and strengthening. 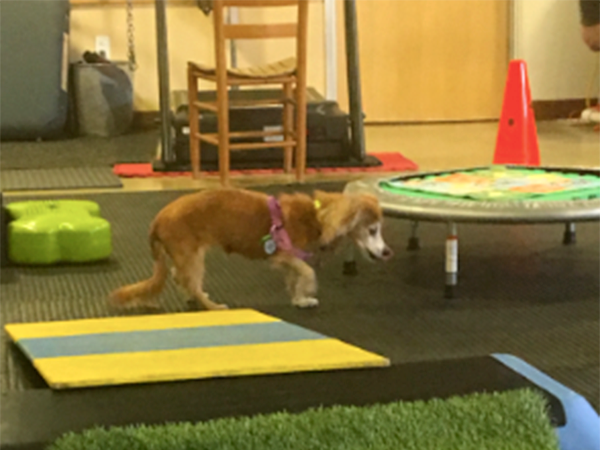 Lilo, our senior of 17 years, is working on proprioception, balance and coordination through the course. Mackenzie is doing weaves for elbow dysplasia. 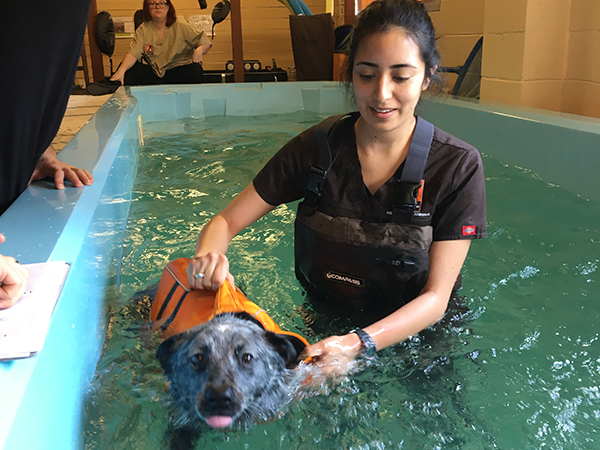 Oshin, a dog with supraspinatus injury, swims with Aracely. The gym when not in use. April working with Samba, post amputation. 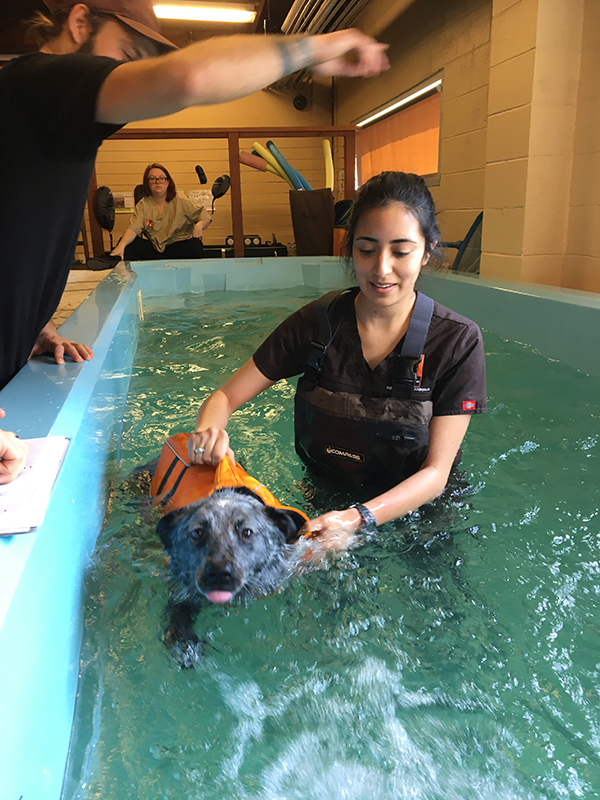 It is always the aim to meet and exceed the standard level of veterinary medicine for this practice. With respect to rehabilitation, they strive to maintain a high standard of excellence by taking advantage of highly skilled professional and support staff. 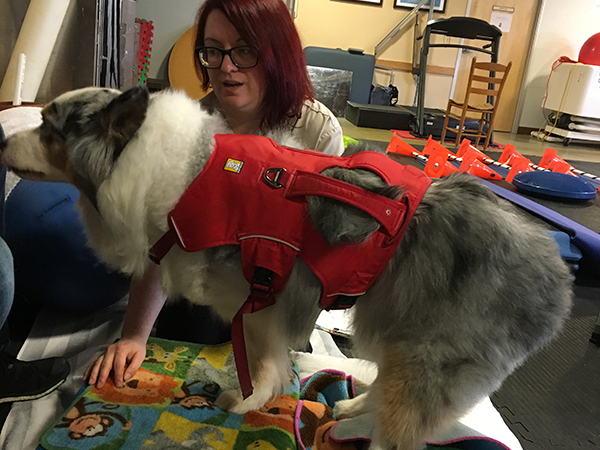 In addition to CRI or UT training for rehab doctors and staff, HVC provides in-house training for the support staff. 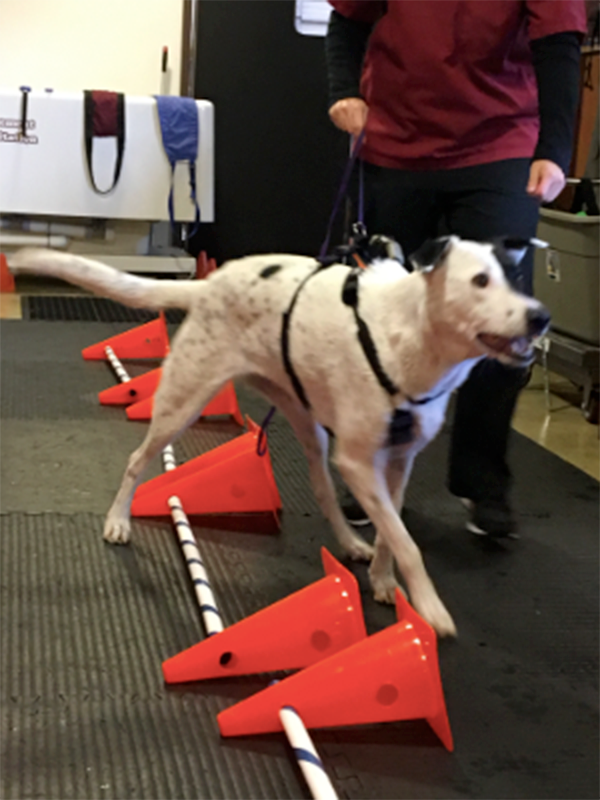 Holistic Veterinary Care takes pride in providing the highest level of customer service to their clients including support and guidance both during and after their pet's rehab program. 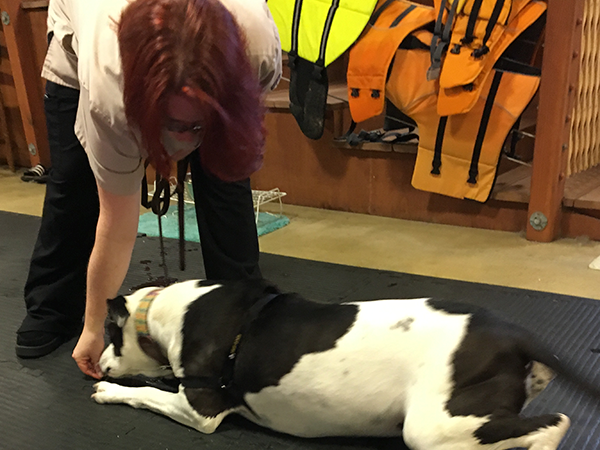 While there are many aspects of Holistic Veterinary Care that makes Dr. Richter proud, he is the proudest of the staff. 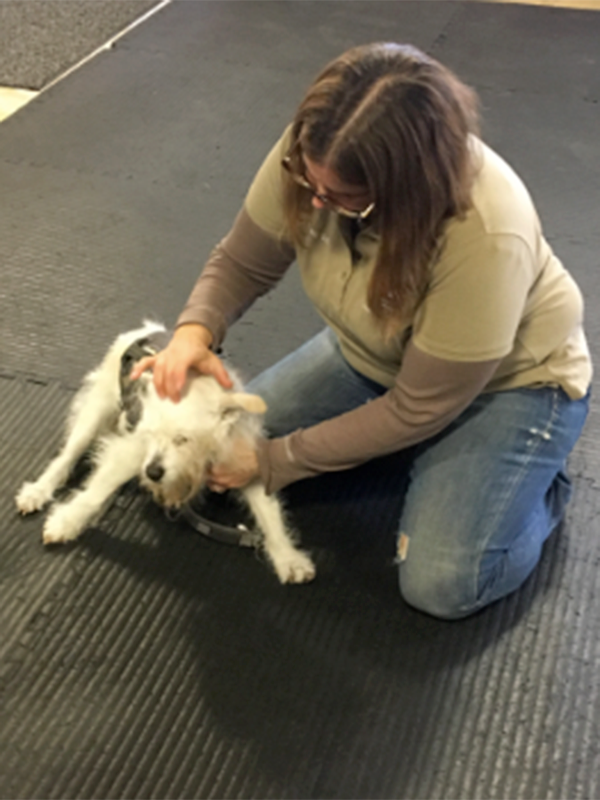 The dedication shown by the entire team is why HVC is able to help as many animals as they do. He feels that without them, there would be no practice. In the future, they will continue to explore ways to serve their patients better through equipment upgrades and continued advanced staff training. 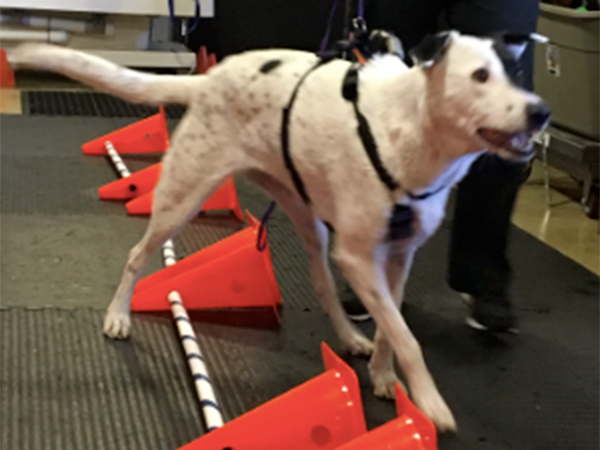 Also, they are moving towards an on-line platform that will provide education and guidance to pet owners, so they know how to keep their pets healthy through proper nutrition, appropriate exercise, and integrative care. 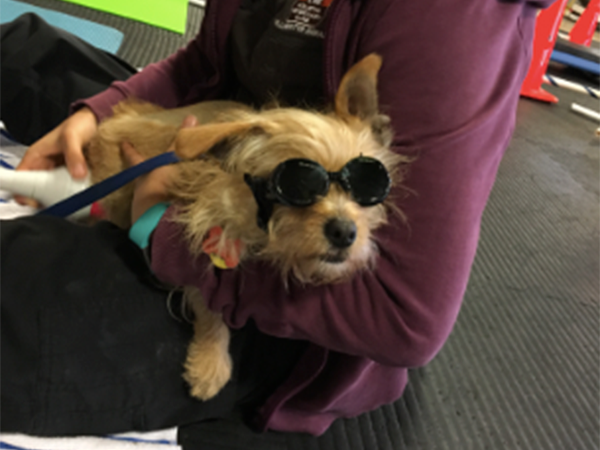 HVC works with organization such as the Friends of the Alameda Animal Shelter to help animals in their care.